In 2014, there were more than 50 MAJOR hacks or data security breaches (and those are just the one’s we’ve heard about!) The one that dominated the news was, of course, the Sony hack but what can we learn about document security from these events? If your company stores files containing client information or even employee information, it is vital to be aware that this information could be wanted by cyber hackers for a number of reasons. Whether that’s bank details, passwords to accounts or company information. When Sony got hacked, it wasn’t just employee information that was leaked but also email correspondence and unreleased scripts. They never could have imagined that personal emails could be released and the hugely negative effect they could have on relationships with clients. ABC news suggests that another thing we can learn from the hacks is that companies need to “take ownership of their assets”. Once you acknowledge that documents are your property, you get into that state of mind where you are more vigilant and focussed. In a recent article, the Daily Mail highlighted the need for safer password protection on documents. The thing with passwords is that many people either don’t take them seriously enough or choose easy passwords so they can be remembered. Nowadays, we require so many different passwords from ones for social media and online shopping accounts to personal banking and IT accounts. To make it easier to remember these passwords, a lot of us often choose the most generic ones we can think of, such as 123456, qwerty and password. When pointed out, it’s obvious that these passwords will rarely protect important information if someone is intent on hacking into the system. 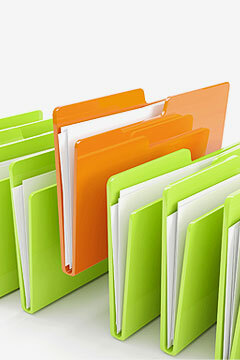 Companies can often get complacent with document security. They think that once there is a system set up, documents will be safe and secure for life but this isn’t the case. Systems become outdated and easily hacked so the best thing to do is to review your data security at regular intervals to ensure that you have the best security for your documents. “Actively monitoring logs, including event logs, syslogs, web server logs, firewall logs, anti-virus logs and logging of the various systems running in the organisation is tedious, but it would have saved the day for Sony Pictures and allowed them to sound the alarm before it was too late. Various tools exist that allow the automation of log monitoring, and these often include notification systems allowing the admin to be notified when a breach is detected.” Read more. These seemingly constant security breaches may have got you questioning the safety of storing documents digitally but rest assured, it is still the most beneficial mode of document storage. As we have highlighted many times in other articles, paper documents are susceptible to loss, theft and damage and take up a great deal of space, time and costs to maintain. Here at Pearl Scan, we offer document scanning and digital document management solutions for companies wanting to digitise and store important files safely and securely. Our scanning bureau is protected by CCTV and security systems and the scanning process is completed under strict supervision. We take the quality and security of your information very seriously so if you would like some more information about how we can help you digitise documents and store them securely, get in touch today. You can also request a free, no obligation quote for your project by completing our online form by following the relevant links below.